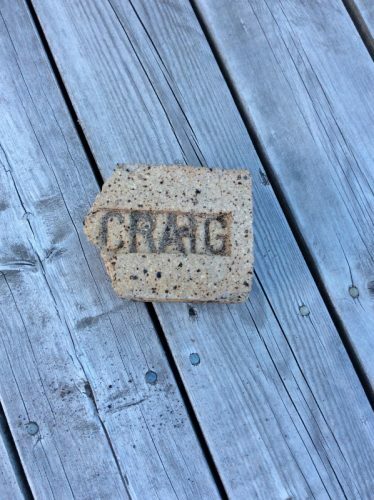 Home / Scottish Bricks Overseas / Gartcraig bricks found at Gaspe, Quebec, Canada. 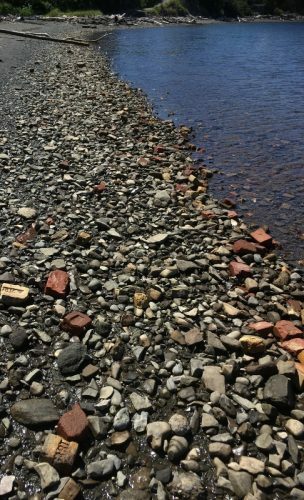 Found by Erin Dippel at Gaspe, Quebec, Canada. 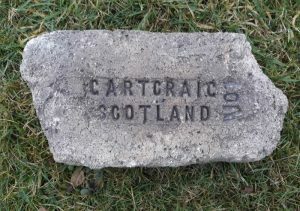 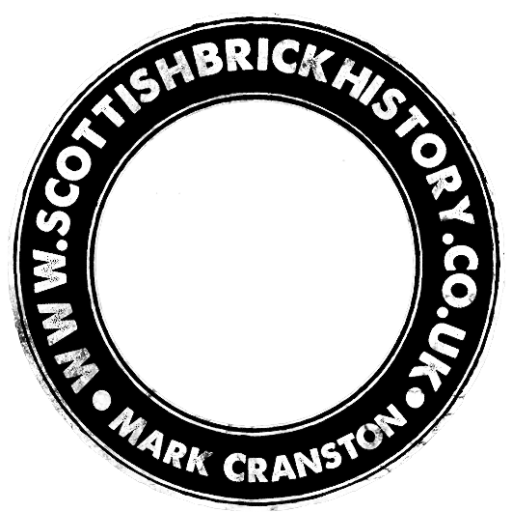 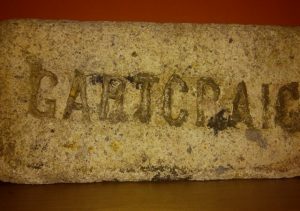 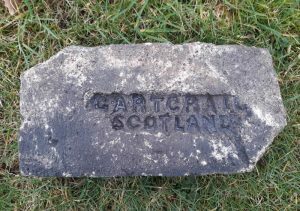 The Gartcraig bricks were found strewn along the beach. 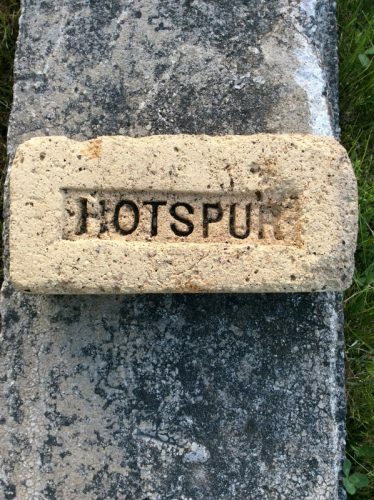 Among them were these Hotspur bricks. 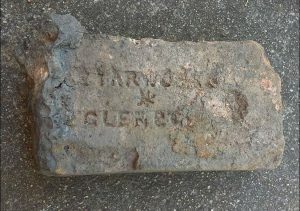 Could they possibly be products of Henry Foster at his Hotspur Brickworks, Backworth, Newcastle, England. 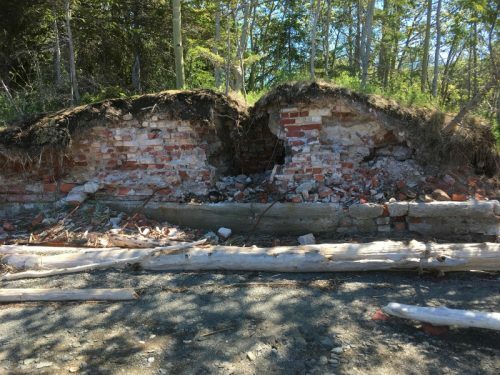 Below – Photographs showing the remains of structures on site and the brick strewn beach. 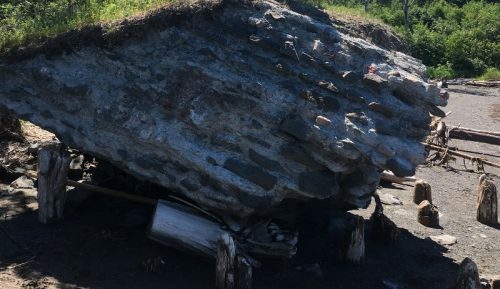 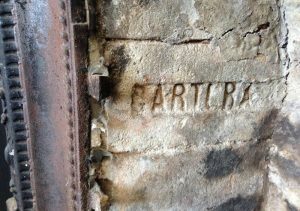 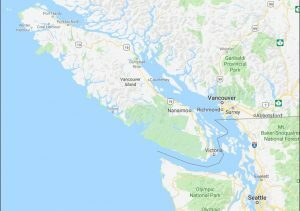 Next Article Etna bricks found on Gibralta.